I've written a small addon to remove the Google Chrome advert on the google.com page when using the Firefox rendering engine. I use Adblock, but without some effort, you cannot remove divs like this. This code simply calls the existing function on the google page that closes the div and keeps that info in a cookie for google to remember. You shouldn't have to deal with this annoying advert again. Please note: If you use any other variation of google.com, such as google.co.uk or google.jp, you need to ensure that it is added in the plugin. It's easy, just open it up and replace ".com". Last edited by sulpherdragon on Wed Aug 29, 2012 11:10 am, edited 1 time in total. 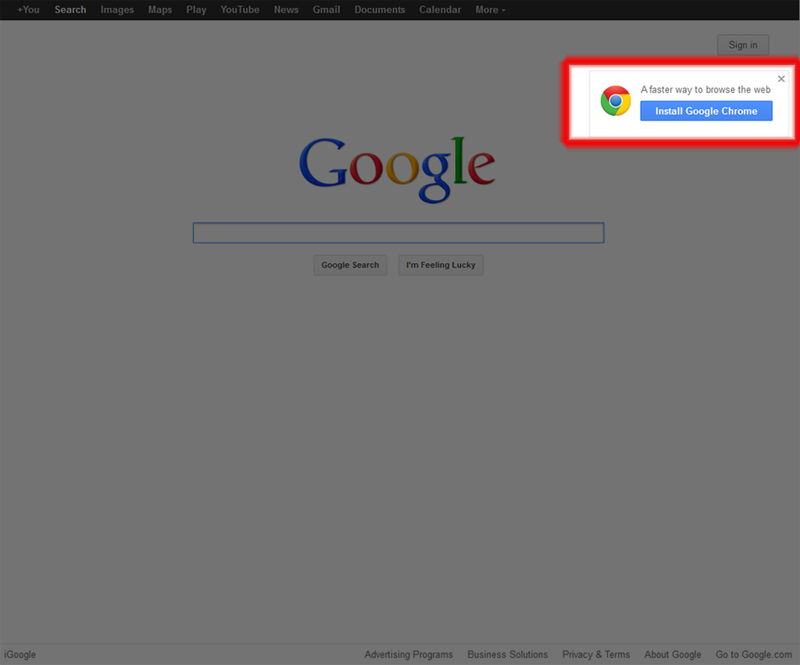 Google is changing their advert to a banner, NoChrome has been updated to deal with this new feature. This new version doesn't require the user to manually enter their most used top level domain. So it should just work out of the box. Thanks bro i use avast anti virus they also want you to download google chrome .I just don't want to see it again it is all over the place.